A Utah body shop describes why he left Liberty Mutual’s direct repair program in 2014 and allegedly immediately faced retaliation in a new version of a Utah lawsuit brought by auto body shops against insurers. The new version of Alpine Straightening Systems et al v. State Farm et al filed in late May also makes a variety of other steering allegations, including that an insurer tried to get a policyholder’s Audi sent 500 miles away to a DRP shop by incorrectly insisting damage was structural. Besides steering, known in the legal system as “tortious interference,” the case alleges Sherman Antitrust Act violations and that insurers received a benefit without paying for it (“unjust enrichment”). The case echoes more generalized accusations seen in similarly revised Florida, Indiana, Mississippi and Tennessee cases with ties to the Utah litigation. All these states cases’ — and more than a dozen others’ — are being heard by Middle District of Florida Judge Gregory Presnell to avoid the burden of repetition on the legal system and parties. The shops in Alpine do have one thing going for them that some other states’ plaintiff auto body shops don’t: A Utah court has ruled that a “benefit” can be given indirectly. That could mean that shops who ate the costs of items like denib and finesse to truly return a car to pre-accident condition gave insurers a benefit by allowing them to satisfy their obligation to their customers. Read more about that legal factor here. However, one recent Utah wrinkle might affect the “steering” claims. 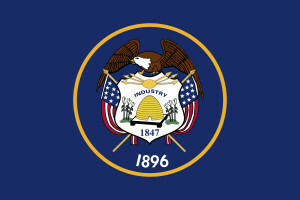 Utah Supreme Court has overturned another decision that removes “improper purpose” as a grounds to sue someone for suing someone for interfering with your business, according to insurer motions to dismiss the new lawsuit. The Supreme Court worried allowing both as grounds would cripple legitimate competition. If insurers are correct, it sounds to us that even if the underwriters had a master plan to cripple or retaliate against certain shops, they couldn’t be sued for tortious interference in Utah so long as their actions weren’t actually illegal. Essentially, it sounds like the shops have to catch insurers lying to customers about their collision repair businesses to achieve a steering case. These Utah-specific allegations being debated here were made to satisfy Presnell that the shops offered enough support for their complaint that the lawsuit deserves to advance to the discovery phase, in which the shops can get a look at the insurers’ internal information (and vice versa). If nothing else, the allegations are certainly bad PR that might help shops with legislative lobbying efforts and turn customers off against certain insurance brands. Insurers have argued that the shops still haven’t given enough detail to support the case. “The detail cannot salvage the implausible conspiracy and boycott theories Plaintiffs repeat in every complaint,” State Farm, Allstate and United Automobile wrote in a motion to dismiss June 8. Other insurers joined together to file another motion to dismiss that day, and GEICO and United Insurance filed separate independent ones. The defendants generally that the insurance industry might have quickly matched State Farm’s rates not because State Farm was improperly sharing information about it was paying but because they were trying to stay competitive with the market leader. Details about State Farm’s rates could have been learned through general interactions with body shops and most favored nation DRP clauses mandating an insurer not have to pay more than the lowest rates given to a competitor, insurers argued. Insurers also have argued that as defendants were raising rates after State Farm did, the allegation of price-fixing to drive down rates didn’t hold up. The Alpine case describes a two-pronged approach to support insurer-partnered direct repair shops. Insurers allegedly both attempted to steer customers from other shops to the DRP network, and punished shops who left that program. Allegations contained in an extensive description of why plaintiff Dave’s Body Shop left Liberty Mutual’s DRP in 2014 flesh out possible benefits to an insurer of such a network. The accusations also indicate the “race to the bottom” such programs could incentivize in auto body shops. Liberty Mutual broke with what the lawsuit called the “accepted industry standard” of five labor hours a day to demand six. “This basically means that a 30 hour job needed to be complete in 5 days instead of 6. Any vehicle that exceeds the formula required the shop to pay any rental costs above the formula,” the lawsuit states. It also limited teardown and inspection to two hours without local authorization and cut the average refinish labor allotment from 7.2 hours to 6.8. “The only way to achieve this number was to adulterate the database and lower the published refinish times – process in which they were coached by the local supervisor,” the lawsuit states. The company also started making DRP shops write estimates for customers who said they wanted to repair their vehicles elsewhere and having Dave’s redo mistakes made at other network shops. Liberty Mutual and other insurers wrote in their motion to dismiss that none of this was actually illegal. “Plaintiffs’ dislike of these alleged procedures does not give rise to a plausible boycott claim against Defendants,” the insurers wrote. After owner Stan Ware took Dave’s out of the DRP in May 2014, Liberty Mutual began to direct customers elsewhere, the lawsuit alleges. Upon leaving the DRP, Dave’s saw its Liberty Mutual-tied revenue drop by more than $238,000, the lawsuit states. A shop representative (described as “Mr. Reed”) retaliated with complaints but was forced to remove them by Progressive, the lawsuit states. “Applied here, Plaintiffs mainly allege only vague descriptions of the various supposed misrepresentations made by unidentified persons to interfere with the few identified (and some unidentified) allegedly disgruntled customers usually at some point in a given year,” Liberty Mutual and other insurers, including Progressive, argued about all the steering allegations in their motion to dismiss. And so, the case didn’t meet the standard, they said. Lindon Collision came up in another notable steering accusation earlier in the lawsuit involving a longtime customer of the shop. State Farm told the customer that their Audi R8 would have to be taken to a preferred shop with access to Audatex, not Lindon Collision. The car would have to be towed to Denver, about 500 miles away. Insurers have also argued that even if shops felt an improper implication was intended, some of the alleged statements weren’t lies and so therefore weren’t illegal.